Prevent Back Injuries This Ski Season! Most people who get injured while skiing or snowboarding feel the effects in their knees and ankles, but back injury is always a possible risk. Since both of these activities are physically demanding and harsh, your muscles may not be used to the movements. When engaging your muscles in a new, rigorous activity, it’s much more likely to aggravate them. If you do injure your back from strain, the most likely place is the lower back. Even if you don’t strain your back muscles, it’s still very possible to injure your back during a fall. When you fall, you may experience sudden jarring on your spine, or it could cause your back to twist unnaturally. When this happens, extra stress is put on the tissues around your spine which can lead to strains. These falls can even cause concussions and whiplash! Know your terrain before you start going down the slopes; obviously, bumpy and uneven terrain will be more difficult to navigate without falling. The best way to prevent an injury is to ski safely and make sure your muscles are strong enough to handle it! Exercise early – If you don’t ski regularly or if you’re not in the best shape of your life, the skiing may pose a bit more of a challenge. Prepare your body ahead of time by strengthening your core, hips, and hamstrings. A strong core will support your spine, while strong lower muscles help you keep your balance. Warm up – Always warm up your muscles before attempting to ski or snowboard down the slopes! When your muscles are cold, they are much more likely to be injured. To warm up, do a little bit of cardio with some light stretching to loosen your back, hamstrings, and hips. It’s never a bad idea to choose an easier slope for a warm up as well, even if you are a seasoned pro. Fall correctly – If you absolutely have to fall, make sure to bend both your arms and your knees, and tuck your head in. Doing this can prevent neck and back strain, and it can help you prevent serious limb injury, as well. 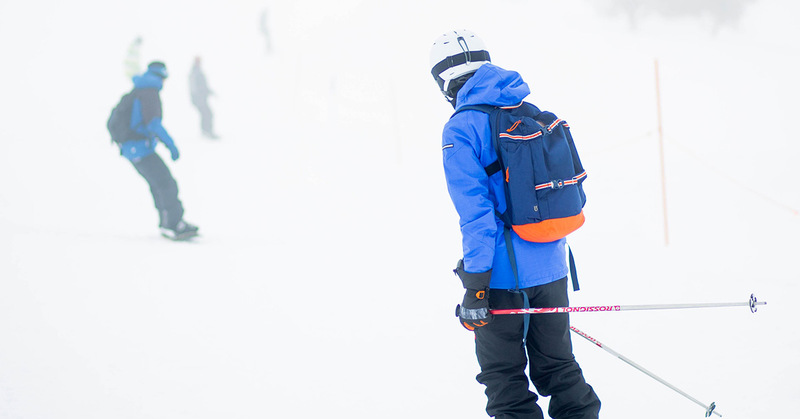 Stay within your limits – Start at the bottom and work your way up to more difficult slopes. If you are really unsure about your abilities, work with an instructor until you are confident. If you need a Littleton chiropractor who understands skiing injuries, be sure to call Arne Chiropractic today to set up your appointment! We wish you a safe and fun adventure!